GodGoBless.Com isn’t just the best website around; it’s also one of the fastest growing sites of its kind. GodGoBless offers engaging musical content monthly to upwards of a million unique users, largely comprised of the highly sought after 18-29 age demographic. We serve as an ideal platform to reach consumers and a top internet outlet to advertise products and services, or promote songs, albums, mixtapes and videos. GodGoBless resonates with an ever growing audience of young, internet savvy users and we make it very simple and efficient to reach your audience. We have IAB standard banners available at 460×60, 728×90 and 300×250. Other larger formats are now available; just inquire when you contact our advertising team. Banners can be configured as ad specific, geo-targeted by city, state and country with all available formats. Banner advertisements are sold on either a CPM basis (cost per thousand impressions) or for fixed campaigns. From company branding to new product launches, we have worked alongside a wide range of clients from corporate companies, music labels, small businesses and artists to offer various customized marketing campaigns. To discuss custom integrations, skin takeovers and sponsored artist opportunities, contact our advertising team and discuss some of the many options available.  If you’re interested in advertising on GodGoBless, please email us at advertising team or Call Us +2349037273490. It is our mission to deliver unparalleled customer service and make advertising on GodGoBless the simplest and most efficient way to buy highly targeted advertising impressions online.